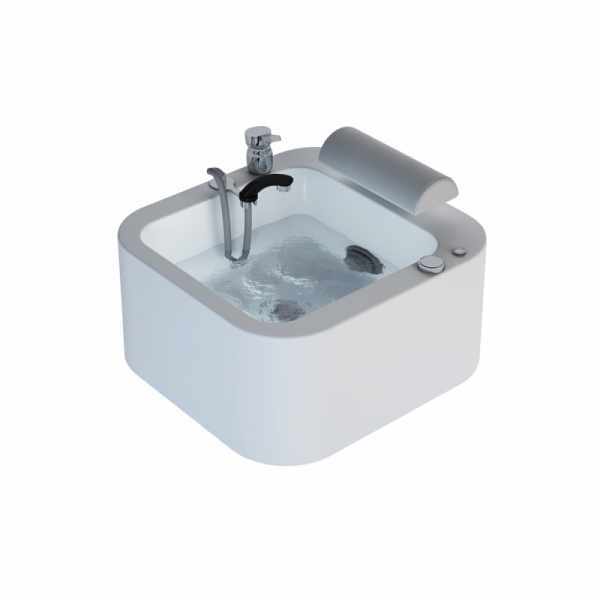 Pedispa sink in white acrilic material with pipeless hydromassage jet for easy cleaning and silent massage, with internal led chromatherapy optional kit. Mounting kit for platform included (platform not included). It needs to be mounted on an existing platform. Pedispa sink in acrilic with pipeless hydromassage jet and internal led chromatherapy optional kit. Mounting kit for platform included (platform not included).